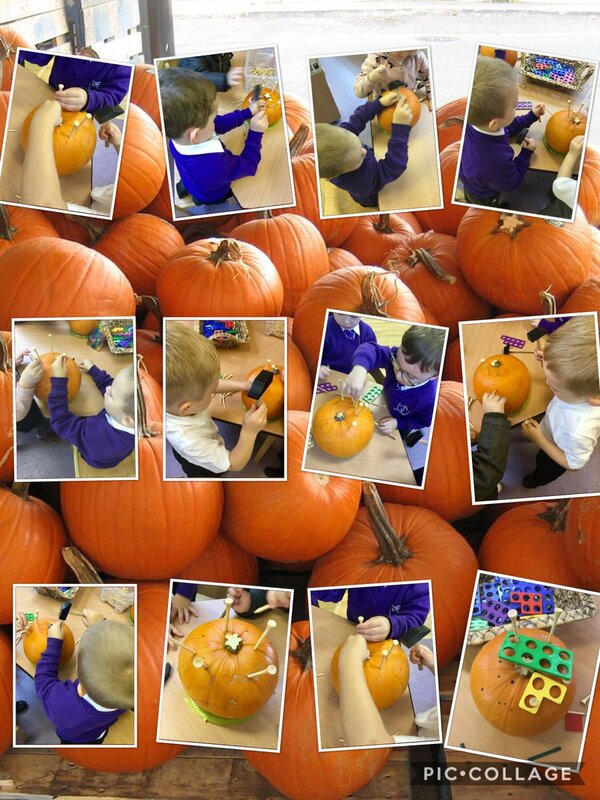 This morning the chidlren explored the size and weight of the pumpkins and discussed in length the differences between them. 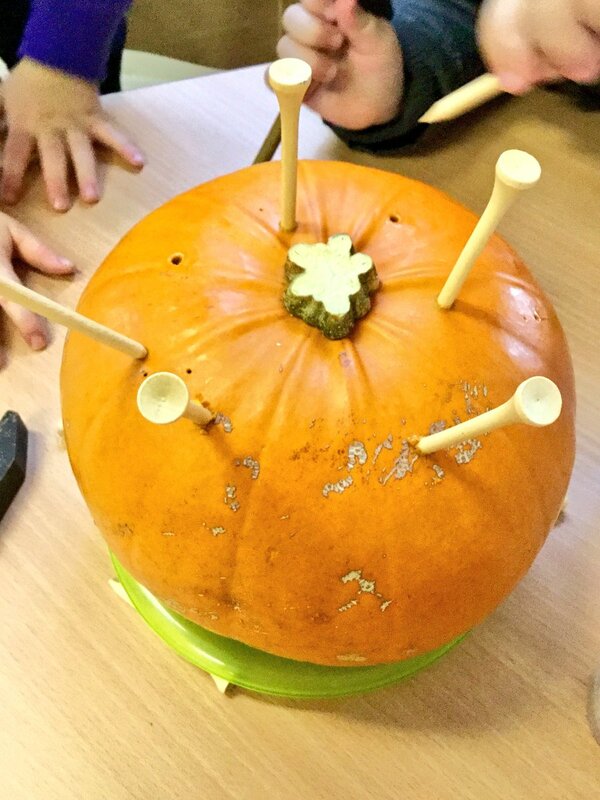 The chidlren passed the pumpkins around the circle and discussed the height and weight of the two pumpkins before using hammer and pins to make holes in them. 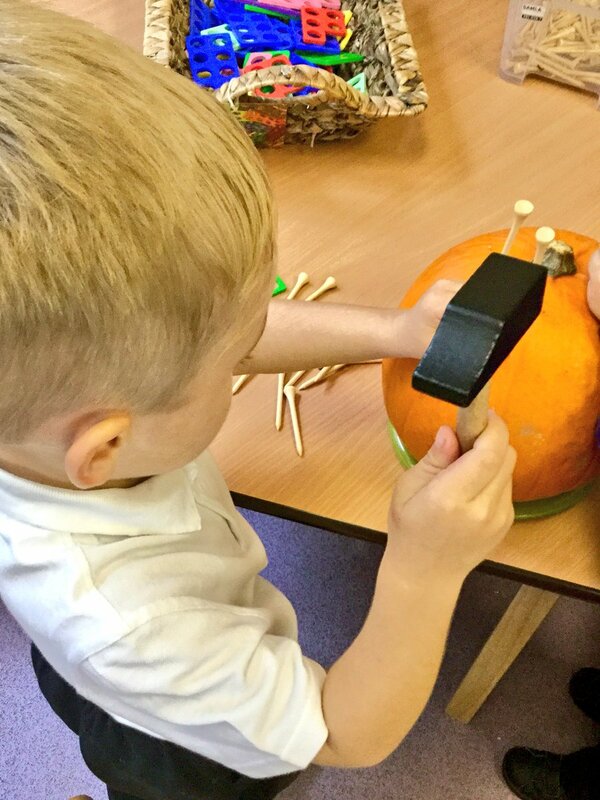 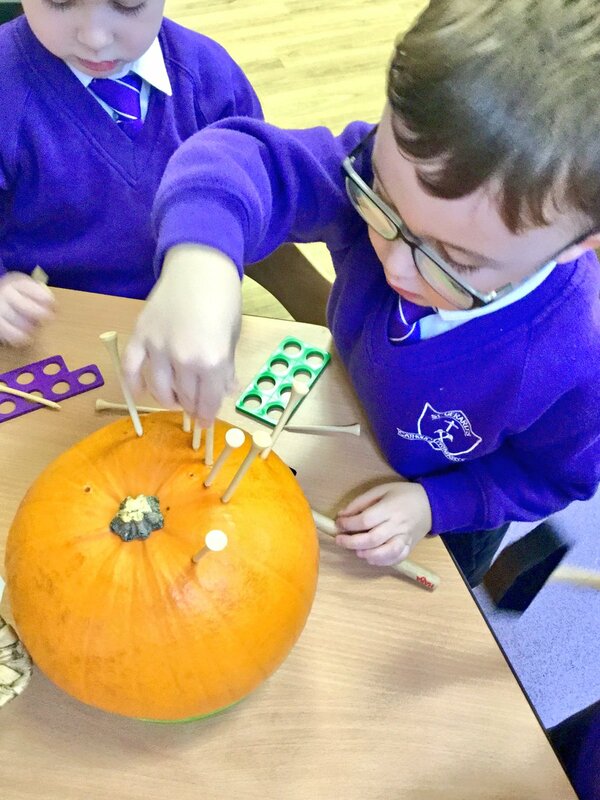 The children were challenged to use numicon to count and match how many pegs they hammered into the pumpkin.